It’s summer and that means Ice Cream Floats. How about a different twist with inside out floats where the soda is on the inside? Read on to find out how! 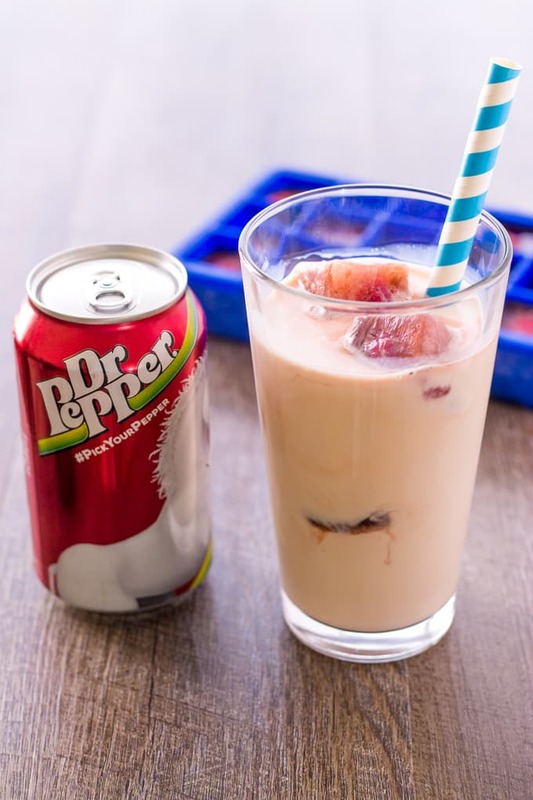 Last summer I brought you some ice cream float shooters with Dr Pepper® and this summer I am teaming up with them again to make inside out floats for a cool twist on a summer treat! Since summer is always a good time to get inventive with your drinks so I thought I would reinvent one of my favorites! The Ice cream soda float. You can’t go wrong with bubbly soda and creamy ice cream. They swirl together as the ice cream melts and make the soda flavors even richer. I want to make the same type of drink but with a little less richness as I am in Arizona now and the heat is too much to extra rich ice cream. My idea for the inside out floats is inspired by the cool new Dr Pepper “Pick Your Pepper” Labels. While shopping at Fry’s I saw a cool box of 12 cans, one side had a shark and the other side a unicorn. What polar opposites! The shark tends to add a little mystery to the ocean so I am adding some mystery to my drink. Buy any three Dr Pepper 12pk or 8pk 12oz (any variety) and receive a coupon for a free Dr Pepper 20oz. This great offer is available 6/21-8/15, so make sure to call or visit your local Kroger/Fry’s or Kroger/Fry’s banner store for offer specifics! Instead of ice cream, I am lightening up the inside out float with coconut milk. You can use almond, cashew, soy, or regular milk if you like. I prefer a full-fat coconut milk to add to the creaminess of the drink. But hidden inside the milk will be the Dr Pepper soda. Like a surprise from the deep! Or a great white shark! To make the Dr Pepper ice cubes, I use silicone ice cube trays. 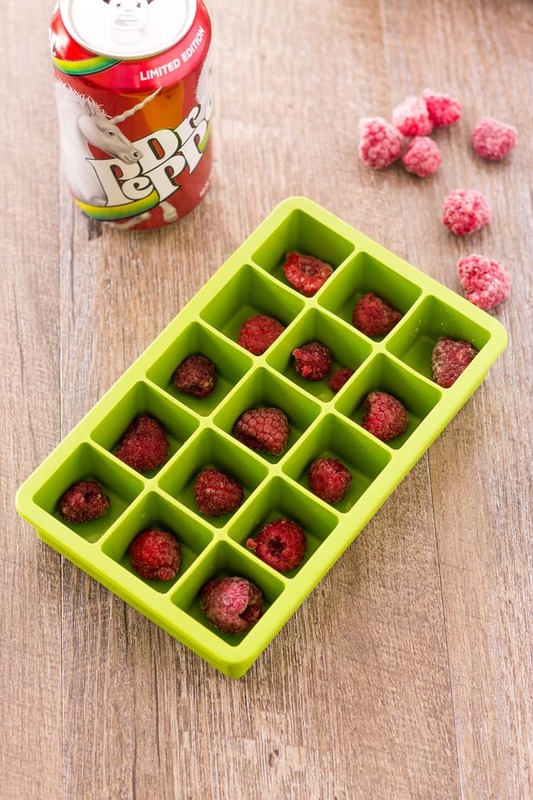 I place a frozen raspberry, you can use any berry or no berries, and then fill up with Dr Pepper. I like the regular but you can use cherry flavor as well. Using Maraschino cherries and the cherry Dr Pepper will be great! 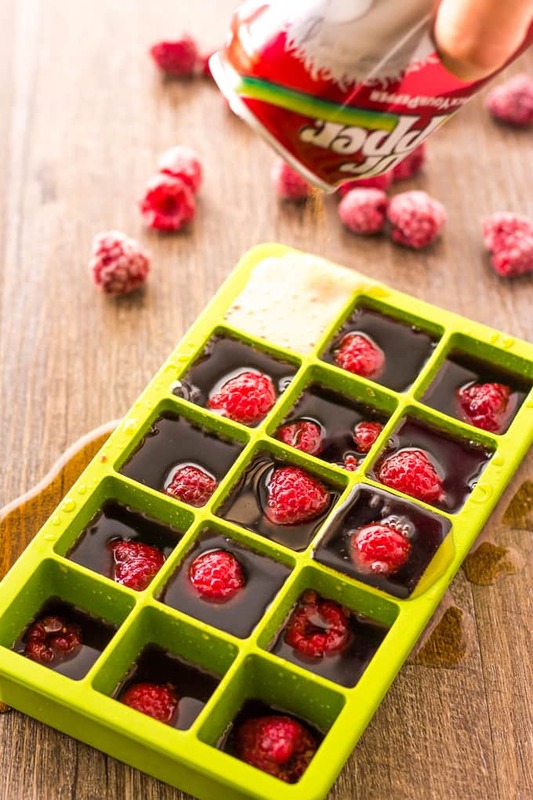 Fill the ice cube trays with Dr Pepper. You can pick your own flavor and one can fills all the ice cube sections! Just be careful when you pour as the bubbles tend to get away from you and you’ll end up with a mess like this! Messes are a common occurrence at our house so I just wipe up and take the ice cube trays to the freezer. Freeze for at least 4 hours or overnight. 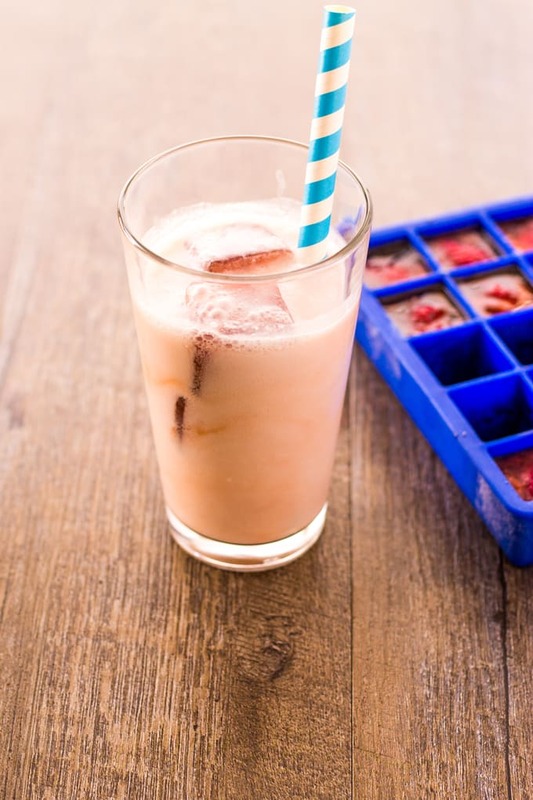 Make a few trays, mixing and matching your flavors and berries, and have some on hand for all your drinks! 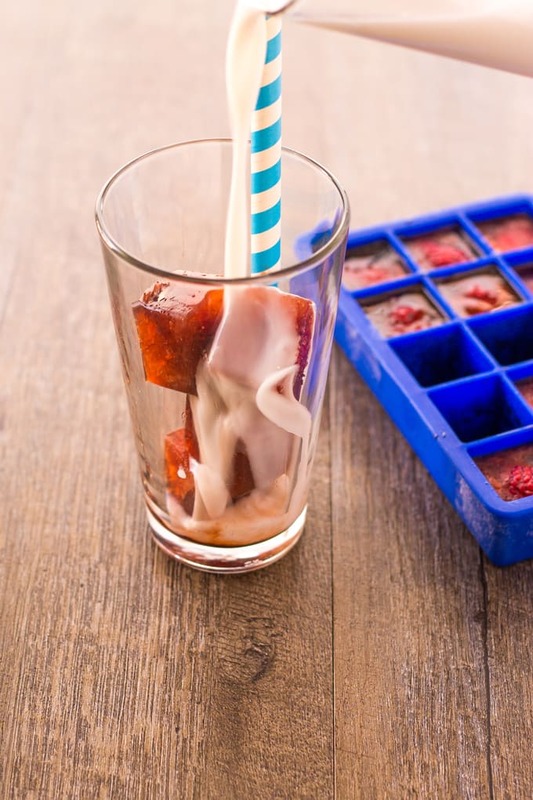 Once frozen, the ice cubes just pop out of the silicone trays and they go right into your glass! If you chill the glasses ahead of time, they are even better! Fill your glass with three to four Dr Pepper ice cubes. Slowly pour your milk over the top. Until you are all full and ready for a cool straw. 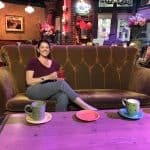 You might think this is weird. 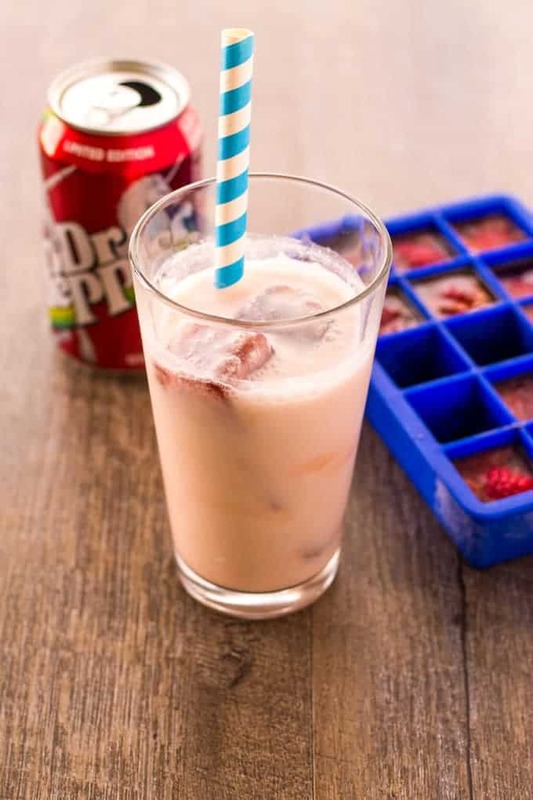 But as the Dr Pepper ice cubes slowly melt in the milk, they make a swirl of flavors and colors. A quick stir and the taste of berries and Dr Pepper will jump out and bite you! Like the shark on the package! The longer the ice cubes melt the more the flavor intensifies and the colors change. It truly tastes like a soda float only it’s an inside out float! Milk on the outside and soda on the inside! Perfect for cooling off this summer, for dessert, or a fun treat the kids can help make. 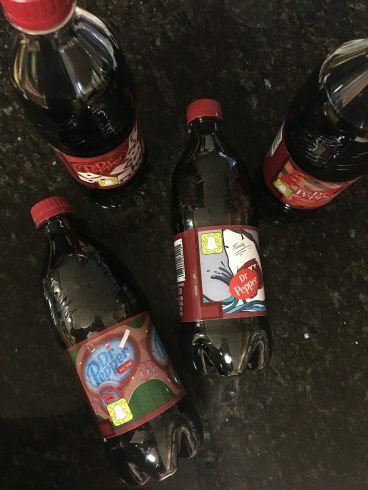 For even more summer fun, the 20-ounce bottles that you can get free when you purchase 3 packages of Dr Pepper contain SnapChat codes and unlock cool filters. I was lucky enough to find a bottle that has a pool for the summer and the shark that is on my package of cans I picked up. I can’t wait to try it! When you unlock you SnapChat filters, make sure to take a screenshot and share with me on social media with the #TakeTwoTapas and #DrPepperPickYourPepper. Summer just got a whole lot more fun! Inside Out Floats for Summer Fun! Place berries in the cavities of the ice cube trays. 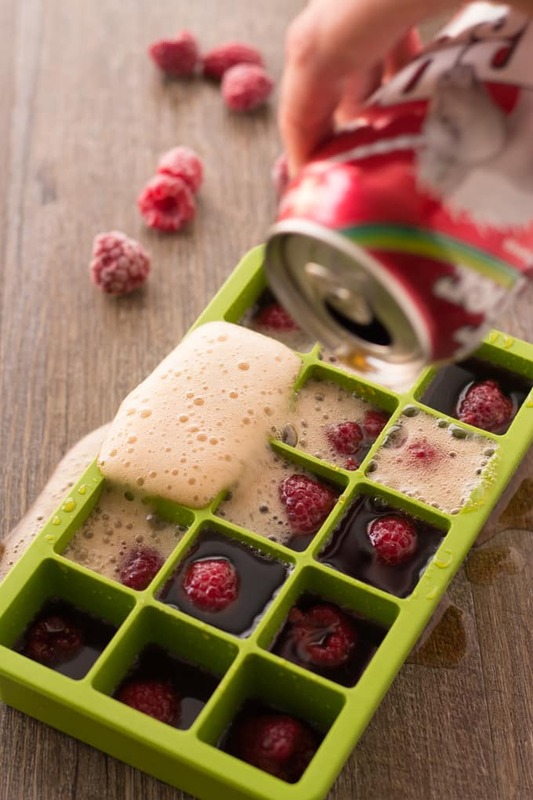 Fill the ice cube trays with the Dr Pepper. Place 4 ice cubes in a tall glass. Pour in 6 ounces of milk. Stir and add a fun straw! 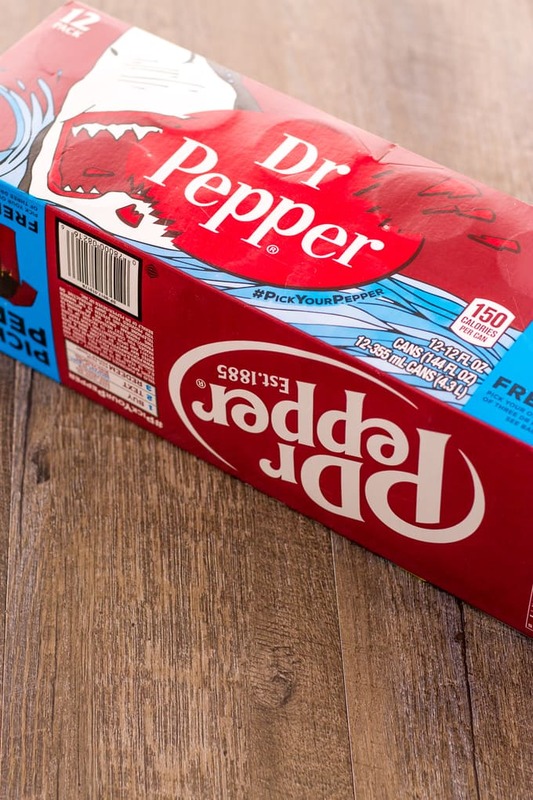 Check out Dr Pepper on Twitter, Instagram, and Facebook to check out all the other #DrPepperPickYourPepper packages to inspire you to new adventures! The kids are going to love this one!